EDI Gateway Inc., a leading one-stop shop EDI provider in Canada, is proud to announce its participation at the upcoming 2018 NRF show in New York City. Montreal, Quebec- (Jan 9th, 2018) – EDI Gateway, a Gold Certified Microsoft partner, is proud to announce its participation as an exhibitor at the upcoming 2018 NRF show in New York City January 14th through the 16th, 2018. With over 24 years of experience in the retail industry across North America, EDI Gateway’s expansion into the U.S market is a natural and timely development. EDI Gateway’s extensive experience working with retailers of all size, including online and drop ship programs, in the apparel, grocery, pharmaceutical and hardware markets, has allowed EDI Gateway to develop and implement solutions geared to accommodate all EDI supply chains, in an optimized and cost effective fashion. EDI Gateway’s emphasis and core objective have consistently been in line with offering a comprehensive plethora of solutions and services to both its vendor and retailer communities ranging from EDI integration and EDI implementations, to EDI rollouts for existing and new transactions, compliance testing mandates, VAN services, supply chain optimization, as well as web solutions and general EDI and technical support. Its expertise in EDI implementation allows it to identify and develop the best business practices for the retail community, and provide the optimized tools needed to maintain 100% EDI compliance throughout the supply chain process. “Given our ability to understand the increasing need in today’s market to automate and improve business processes, to increase pace and build up customer satisfaction, expanding our presence in the U.S market is a natural step for us to take this year. We have extensive knowledge of the retail industry and we have been working with countless U.S retailers, both major and small, for the past 24 years. The NRF show is a great opportunity to showcase EDI Gateway, and introduce our wide range of services and solutions. We are very confident that our impressive background in the retail industry and solid relationships with U.S retailers, combined with our core values of focusing on customer satisfaction, business process automation and successful EDI implementations, EDI Gateway will benefit the U.S market. 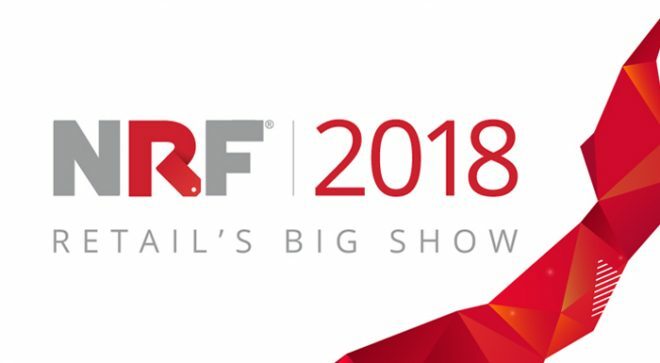 We invite everyone who is attending the NRF show to stop and visit our booth #1255!” said Sharon Barr, the Sales & Marketing Manager at EDI Gateway. EDI Gateway, an MXS Commerce Group company, is a leading North American service provider who has been helping small to medium size companies become EDI compliant and e-commerce capable since 1993. Specializing in EDI and B2B applications, EDI Gateway offers an array of solutions and services, both standardized and customized, developed to accommodate and complement the evolving needs and demands of today’s diverse e-market, in a cost-effective fashion. Gold Certified Microsoft partner, servicing over 2500 customers and their trading partners meeting all EDI and supply chain requirements, EDI Gateway has been collaborating in a consortium with various key players servicing the Retail industry, to offer a one stop, one path solution.